Portugal are currently the country that have participated in Eurovision the longest without winning the Contest, having come no higher than 6th in nearly 50 attempts. 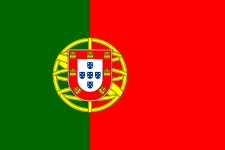 Since their 1964 debut, Portugal have participated almost every year since with exceptions in 1970 (in support of the Nordic boycott of the Contest), 2000 (due to relegation), 2002 (due to internal problems within RTP), and 2013 (due to financial issues). Portugal traditionally send their entries in Portuguese. Portugal’s debut Eurovision entry was “Oração” (performed by António Calvário), however they suffered a humiliating result by coming last with the infamous ‘nul points’. Through the rest of the decade, they failed to garner anything more than 6 points. The decade began with Portugal breaking the top 10 for the first time in 1971 with “Menina do alto da serra” (performed by Tonicha) finishing 9th. This improved the following year in 1972, when the song “A festa da vida” (performed by Carlos Mendes) finished 7th. Portugal completed a hat-trick of top 10 results in 1973, with “Tourada” (performed by Fernando Tordo) finishing 10th. They would finish the decade with another top 10 result in 1979, with “Sobe, sobe, balão sobe” (performed by Manuela Bravo) finishing 9th. In 1974, the performance of the Portuguese entry, “E depois do adeus” (performed by Paulo de Carvalho), was used as one of the signals to kick off the Carnation Revolution that eventually overthrew the Estado Novo regime in the country. The song itself finished last with only 3 points. Portugal had mainly middling-to-poor results through the ’80s, starting with a 7th place result in 1980 with José Cid performing “Um grande, grande amor”, which would be their only top 10 result in the decade. The 1990’s saw Portugal score some very mixed results, with top 10 results in 1991 with “Lusitana paixão” (performed by Dulce Pontes) finishing 8th, in 1993 with “A cidade (até ser dia)” (performed by Anabela) finishing 10th, and in 1994 with “Chamar a música” (performed by Sara Tavares) finishing 8th. However, they also came last in 1997 with ‘nul points’. Their best result to date came in 1996, with Lúcia Moniz finishing 6th with the song “O meu coração não tem cor”, also Portugal’s last appearance in the top 10 to date. Results have not been kind to Portugal since the turn of the century, and since the introduction of Semi-finals in 2004 have only qualified three times: in 2008 with “Senhora do mar” (performed by Vânia Fernandes) coming 2nd in their Semi-final, in 2009 with “Todas as ruas do amor” (performed by the group Flor-de-Lis), and their last qualification to date being in 2010 with “Há dias assim” (performed by Filipa Azevedo). In 2013 and 2016 they took a break from the contest due to financial troubles.